This year for fall I'm attempting a light approach when it comes to the colorful season. Usually you will find my home decorated with lots of color…reds, golds, different shades of oranges and greens. But since I'm trying to retain my desire to lighten up my living room. I've decided to lighten up for fall! Using more natural hues instead of the bright colors you normally see this time of year. I still have my fall colored leaves, but accessory wise I'm keeping them in the natural tones. 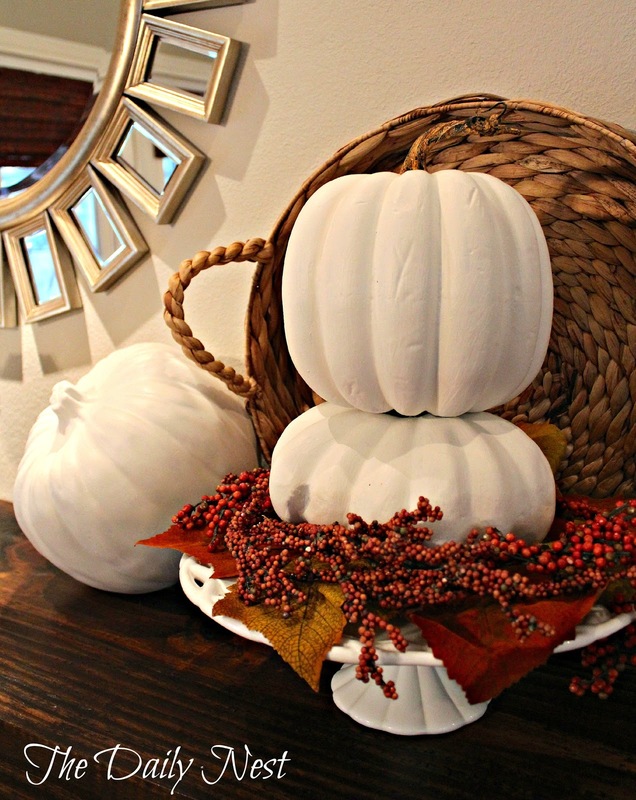 I'm fascinated with white pumpkins this year. I had some of the faux orange pumpkins that I've used in years past. 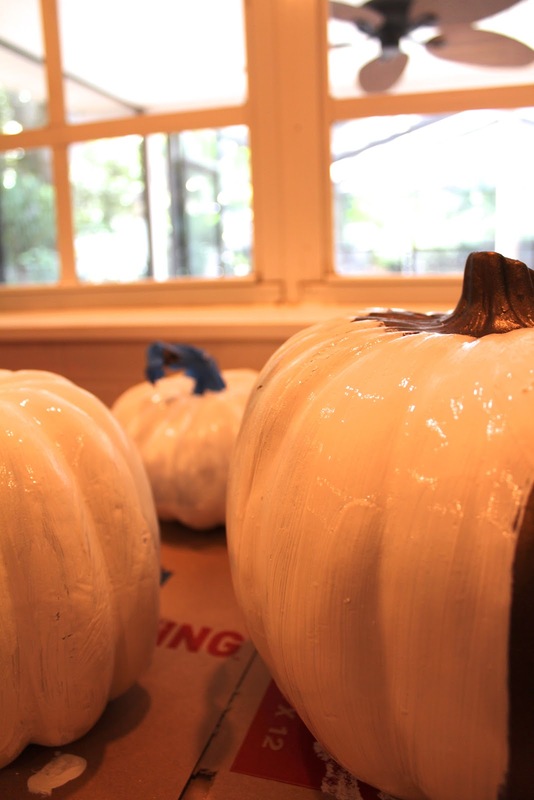 Some I sprayed a coppery color last year and decided that instead of going out and buying all new white pumpkins I would paint them instead. I didn't even feel like going out and buying special paint! I just scrounged around our cans of paint in the garage until I found what I was looking for. 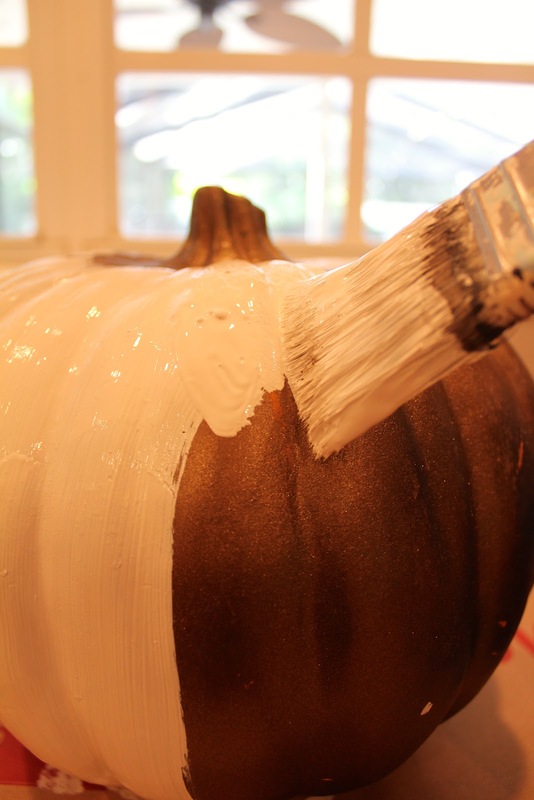 Benjamin Moore's White Dove…Perfecto!!! A quick coat or two and I had whole new look!